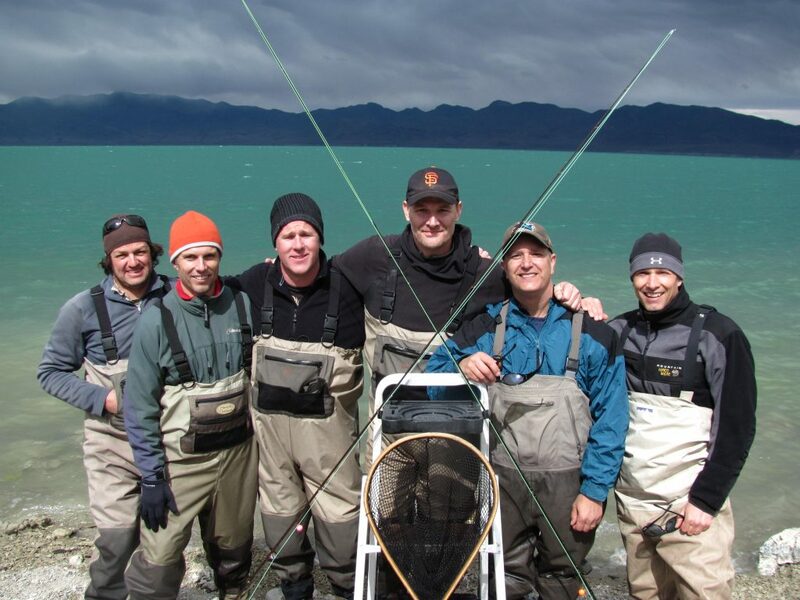 Our Pyramid Lake guide service is the largest and oldest fly fishing guide service at Pyramid Lake. Up until 2002 there was no guided fly fishing at all at Pyramid Lake. Through many meetings with the Pyramid Lake Paiute Indian Tribal council, we finally came up with an agreement to take anglers fishing on the reservation. Rob Anderson, one of our guides is the first ever fly fishing specific guide at Pyramid Lake and has been guiding Pyramid for 10+ years. 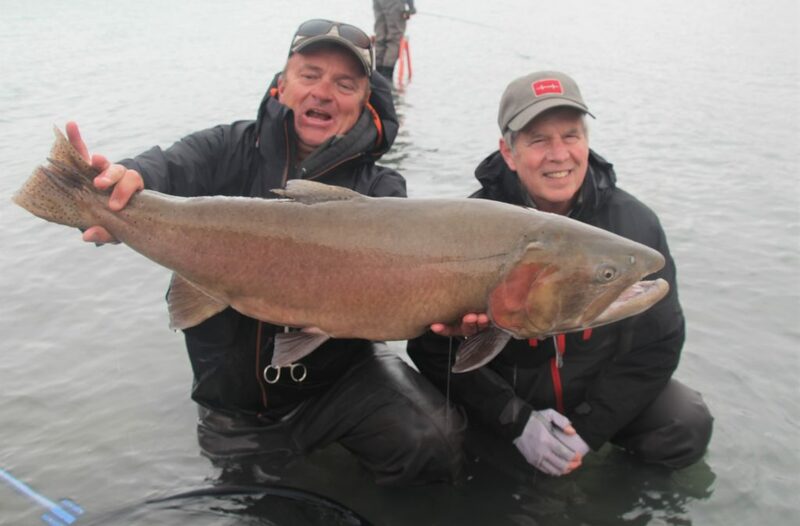 Our guides also work for Reno Fly Fishing Outfitters and take anglers fishing all over the Reno-Tahoe area, teach classes and clinics and do presentations at various fly fishing events, club meetings etc. Fishing with us at Pyramid Lake can be anything from a simple half day trip for an angler or two, to a group or club outing of 15-25 anglers for 3 or 4 days. We design our trips to the lake to fit any angler’s needs from the smallest group to bachelor parties, corporate outings and large fly clubs coming to town. There is no group too large or too small for us to handle. The best part of having a large group at Pyramid is that you can all fish together as a group. This is about the only place around where you can catch fish in a group setting. A typical day at Pyramid Lake with us is unlike just about any other guide trip you have ever been on. Due to the fishing season at Pyramid Lake, (October-June) our fishing days at the lake are usually filled with changing weather. 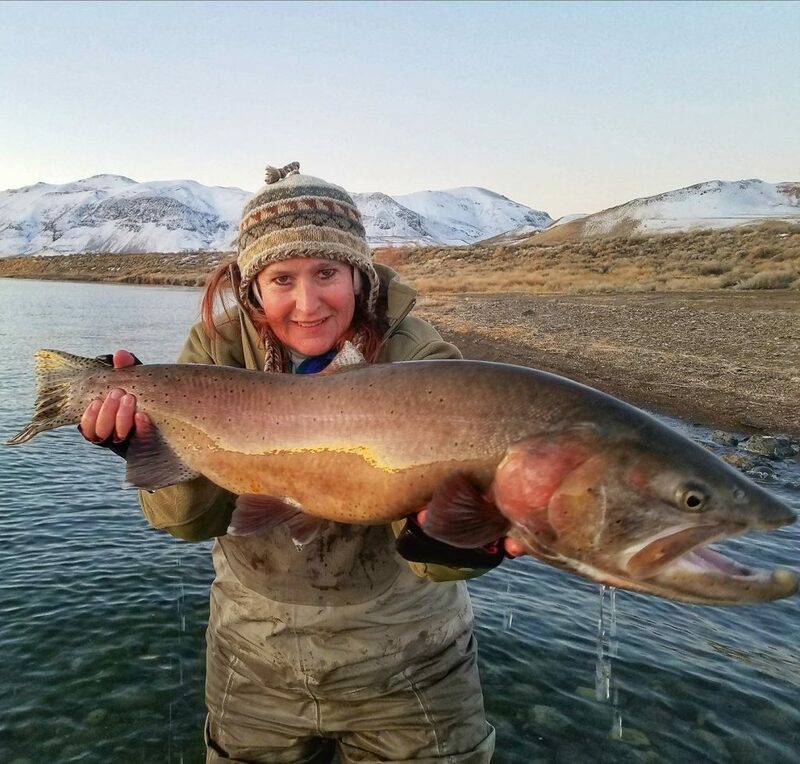 We are experts in finding fish and helping our anglers have a once-in-a-lifetime experience while fishing at Pyramid Lake. Our guides turn into outfitters at a blink of an eye. We come well prepared in the comfort department. Shoreline campfires, homemade soups and hot breakfast and lunch right on the beach are a commonplace for our guides while spending a day with our clients at the lake. Need gear? Not a problem. We include anything you may need or do not want to travel with including; rods, reels, waders, ladders, stripping baskets and our highly sought after and copied Pyramid Lake flies. The best part about it is we include these things at no additional charge! 30 day cancelation policy for trips booked more than 30 days in advance. Anglers can receive a credit on future trips for cancelations inside 30 days but not more than 7 days. Cancelations done inside of 7 days pay 50% of trip cost. If trip is canceled by one of our guides due to weather or some unforeseen circumstance on our end you will receive 100% money back. Group Outings and clinics require 90 days cancelation unless other arrangements have been made. Group trips are considered 6 or more anglers.